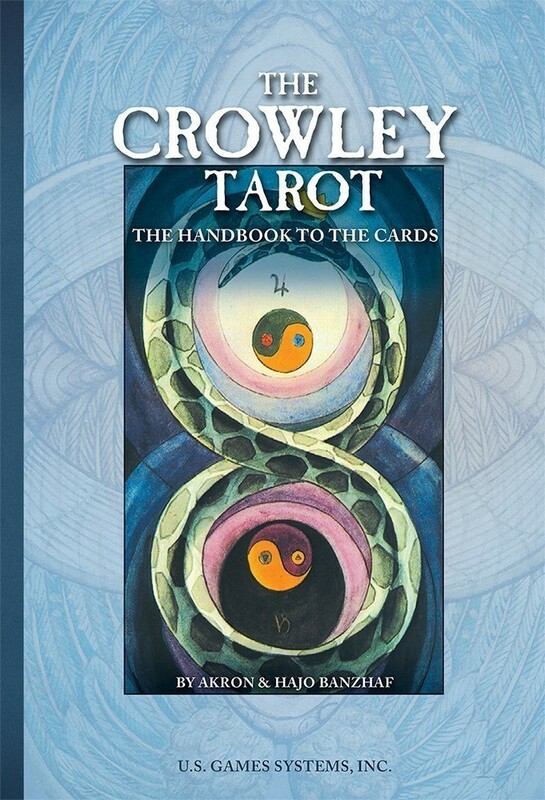 The Crowley Tarot Handbook provides a thorough guide to the background and methodology of tarot reading with the Crowley Thoth Tarot deck. For those who are ready to delve even deeper into the meanings of the cards created by Lady Frieda Harris and Aleister Crowley, this handbook offers detailed analysis of the rich symbolism and the myriad correlations in the fields of astrology, art and music, mythology, Tree of Life, the Runes, elements, and other archetypal correspondences. For each card, the authors present insightful interpretations for four areas of life: general, consciousness, professional matters, and relationships. The Handbook also provides helpful instruction on using card spreads and concludes with a dictionary of tarot terms. When starting out with a Crowley Thoth deck, this book is an excellent and comprehensive guide for understanding the extensive symbolism of this deck. Every card is fully described and the fluid, energetic art of Lady Frieda Harris is explained very well. Some beginning and intermediate Tarotists also find value in this book, even if they are not working with the Crowley deck, because of its guide to mythical, mystical, and historical symbolism found in many tarot decks. Akron and Banzhaf's text is insightful and oracular, giving diviners plenty of poetic and mythic depth to work with as they discern the meanings of the cards and their spreads. If you're prepared to do the work, this text will at least grant you entry into Crowley's symbolic universe.